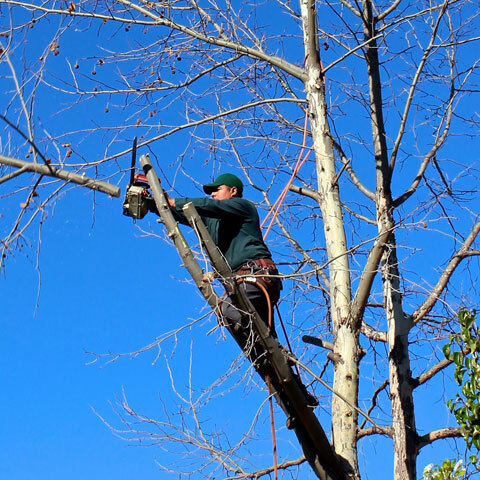 Twelve Oaks provides arborist services in Toronto and surrounding areas for your home or even your commercial space. We offer maintenance for your trees, no matter what kind of tree care is needed. Call Twelve Oaks and we will get the job done right! When the work is complete don't forget to ask us about our firewood; we use old trees and recycle them into firewood, which is perfect for your fireplace or campfire. With 15 years of experience and a genuine passion for the arboreal trade, you will receive friendly and professional service with a smile. The job will always be done right the first time! Call today for a free quote. Each job is unique. You will always deal with an owner — a professional and skilled arborist as your main point of contact, who oversees and works directly with the team every step of the way. Your family's safety is our first priority! By removing a weak tree, having it braced, or grinding a stump, your family will be out of harm's way and your home and property secure. Our boundaries are Brampton to Ajax, Newmarket down to the Lakeshore. When dealing with a weak or damaged tree, always hire a professional arborist to do the job. This is the most effective and safe way to get the task done fast and properly the first time. Twelve Oaks is happy to do the job and we always leave your yard more beautiful than when we arrived. Call a professional arborist today. What are your credentials and history in the the Arboreal Services industry? What certifications do you and your team possess?